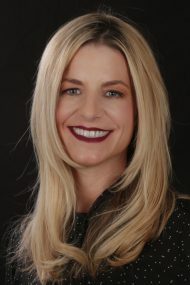 Jennifer Lippi is by industry standards new to the title and escrow industry, however she has made a huge impact in her limited time with Stewart Title. Being well connected in the midtown, downtown, Land Park, and East Sacramento areas of Sacramento has benefited Jennifer and her team in the J St. branch of Stewart. A tenacious approach to sales combined with a keen understanding of real estate has enabled Jennifer to build an outstanding reputation in the community. Her follow up is consistent and impressive as she pays attention to each and every prospect and customer on whom she calls, while her passion for success motivates her to continuously push forward. With Jennifer’s work ethic and commitment to providing excellent customer service, her J St. team will continue to grow and thrive.